In-home care provides the maximum amount of independent living. By selecting in-home care with Ally Independence, LLC, you are able to remain in the comfort of your home, doing things for yourself that you are able to do, while receiving help in other areas of your life. Remaining at home allows you to maintain normalcy, independence, and the ability to remain part of the community that you have lived in prior to receiving in-home care. You also are able to be in control of your life, selecting the type of care that you receive which will allow you to live to your fullest capabilities. In-home care is safe. 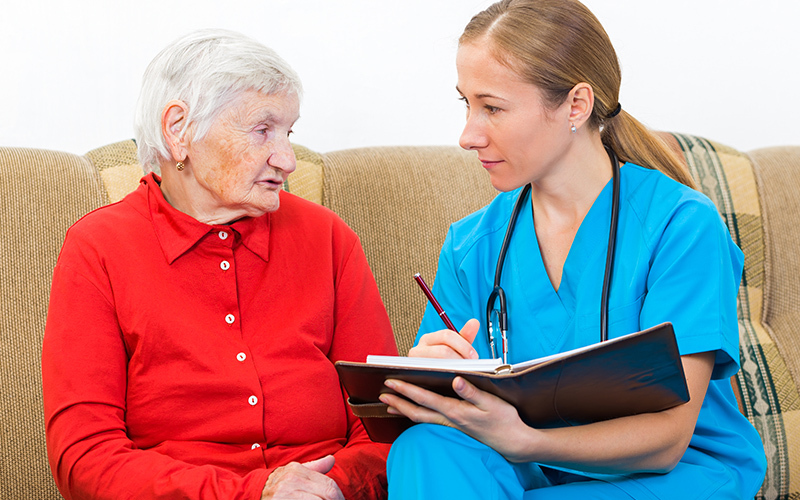 By having a qualified caregiver in your home health risks can be reduced, if not eliminated. For example, a caregiver can help to prevent falls of seniors who are weak or dizzy from medication or illness when they are cleaning or bathing. Also, having an extra set of eyes checking over you helps to reduce risk of illness, infection, etc. In-home care in personalized. At Ally Independence, LLC, we take the time to create a customized Care Plan for every client, so that each person receives the care that THEY need. You are able to receive customized, one-on-one care from a California registered Caregiver. Home care gives control to the individual being cared for. As people age, the in-home care option gives them more control over what care they will receive. You have a voice, are invested in your own care, and are an active participant in your own care with Ally Independence, LLC. Home care reduces the burden on family. It can be extremely difficult caring for a loved one who is aging or ill, or both. Often times those caring for their family members live far from them, making it extremely difficult to provide the needed care, or they may not feel adequate in caring for their loved one. With in-home care from Ally Independence, LLC, family members can be assured that their loved one is being taken care of, having their needs met, and living an independent life, all within the comforts of their own home. In-home care is affordable. When examining the cost of assistance for senior living in the Sacramento area, Ally Independence, LLC’s in home care services is quite cost effective. In-home care can be more affordable that an assisted living facility or senior living complex, because the care needed is tailored to what YOU need, and you are not paying for unnecessary care. In-home care is comfortable. People would prefer to remain living in their home. It is what is familiar, as the people and things that make them happy surround them. When are happy and have a positive attitude, their quality of life greatly improves. At Ally Independence, LLC, we strive to ensure that every client has the best quality of independent living at possible! If you have any questions about the benefits of in-home care or the services Ally Independence, LLC provides, please contact us at (800) 630-6156.